The United States needs leadership on #GunSafety! Tell the U.S. Congress to follow New Zealand's example. It must show leadership by advancing measures to reduce gun violence, including passing universal background checks on gun sales as soon as possible, and banning military-style assault weapons and high-capacity magazines. 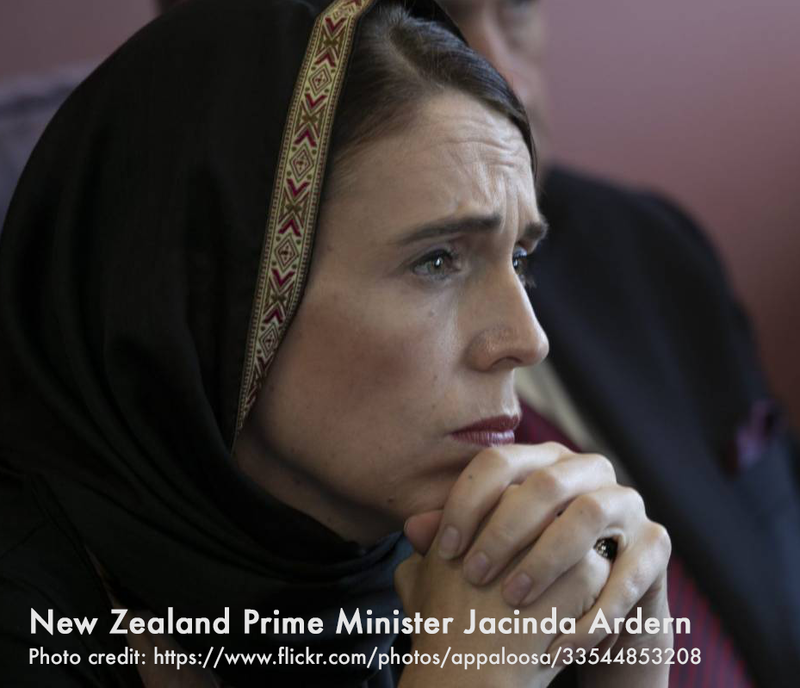 Just six days after more than 100 people in Christchurch were injured or killed in a brutal anti-Muslim hate crime, Prime Minister Ardern announced a ban on military-style semi-automatic assault weapons and high capacity magazines, with widespread support across the country, including from opposition leaders. That is what leadership looks like, and we need it here at home. With guns taking nearly 40,000 lives annually, the United States is in the throes of a gun violence epidemic. Our lack of leadership on gun safety is literally killing tens of thousands of people. Please follow New Zealand's example and show leadership on #GunSafety! Take action to reduce America's gun violence epidemic, including passing universal background checks on gun sales as soon as possible, and banning military-style assault weapons and high-capacity magazines.